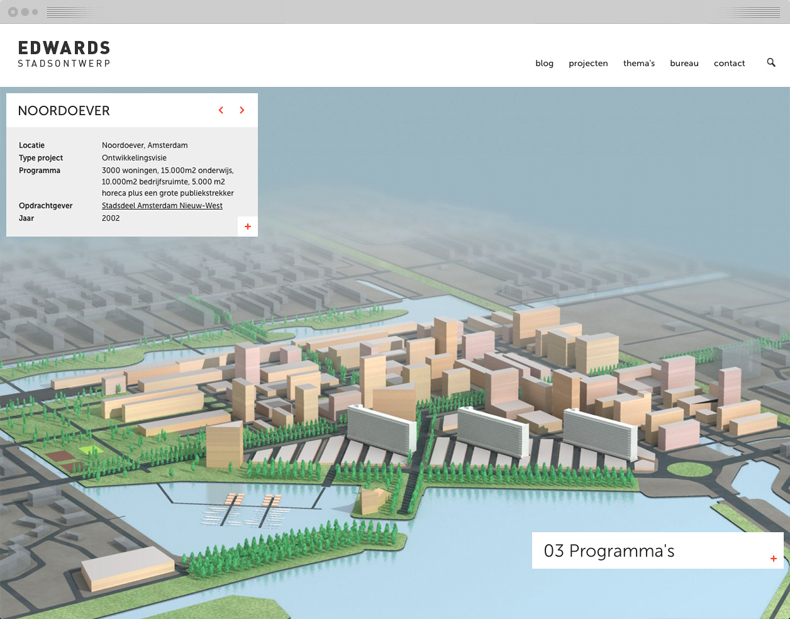 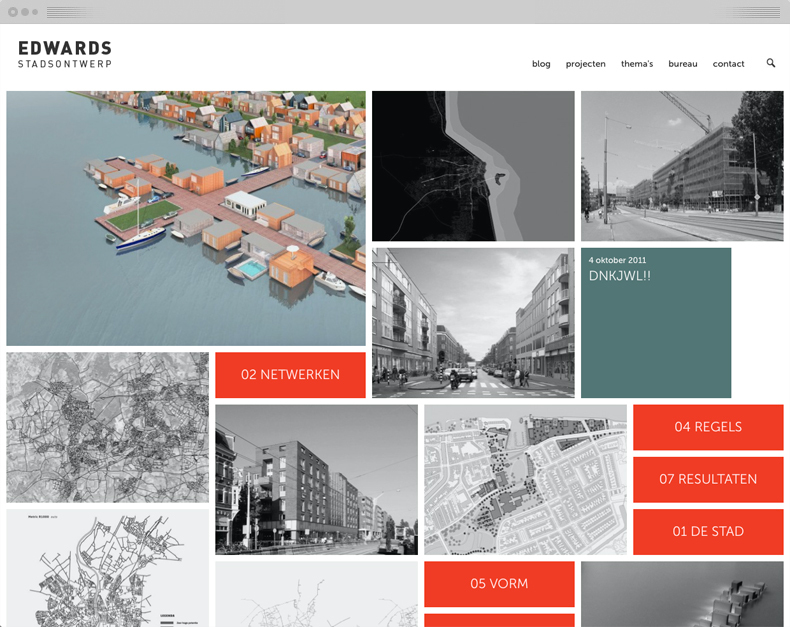 Edwards Stadsontwerp is an urban design agency based in Amsterdam, specialised in renewal projects and space syntax research. 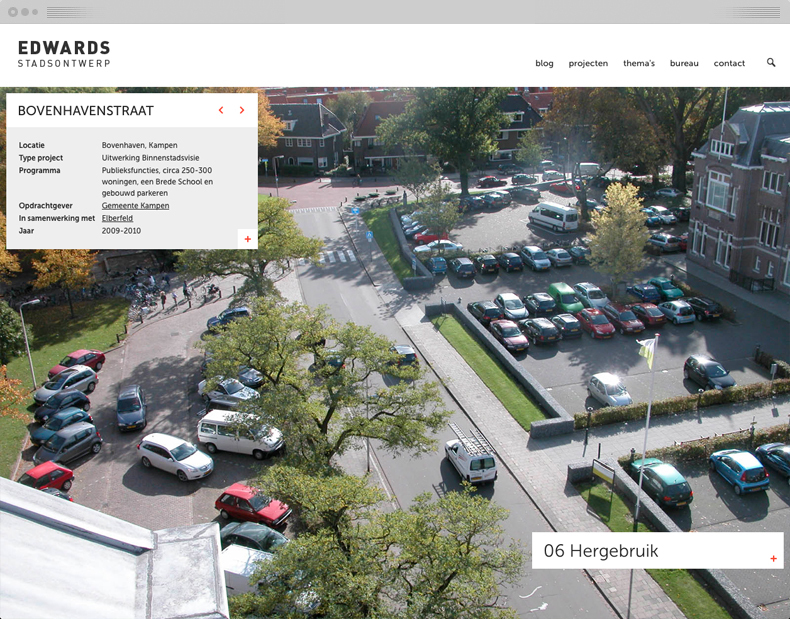 The agency wanted a new website with a non-standard structure that challenges the visitor. 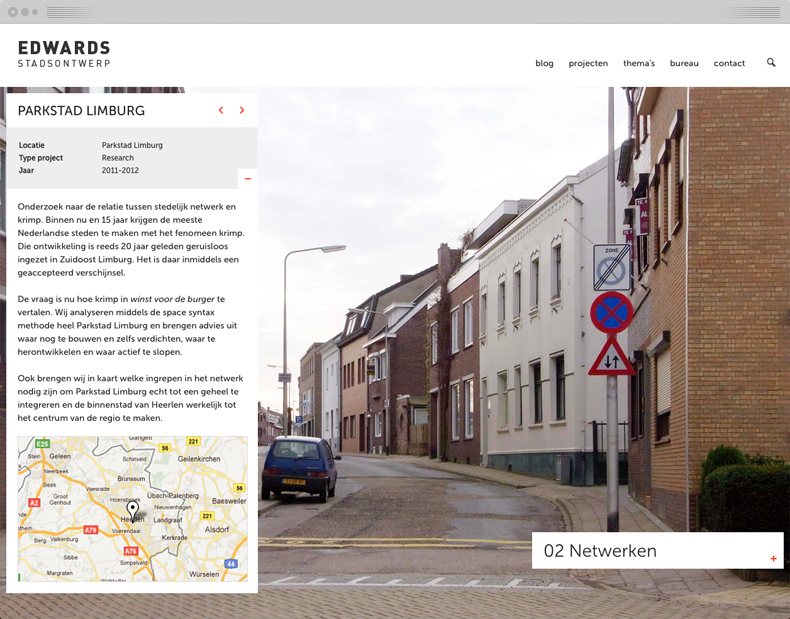 I created a website for them containing projects, themes, and articles that can all be linked to each other. 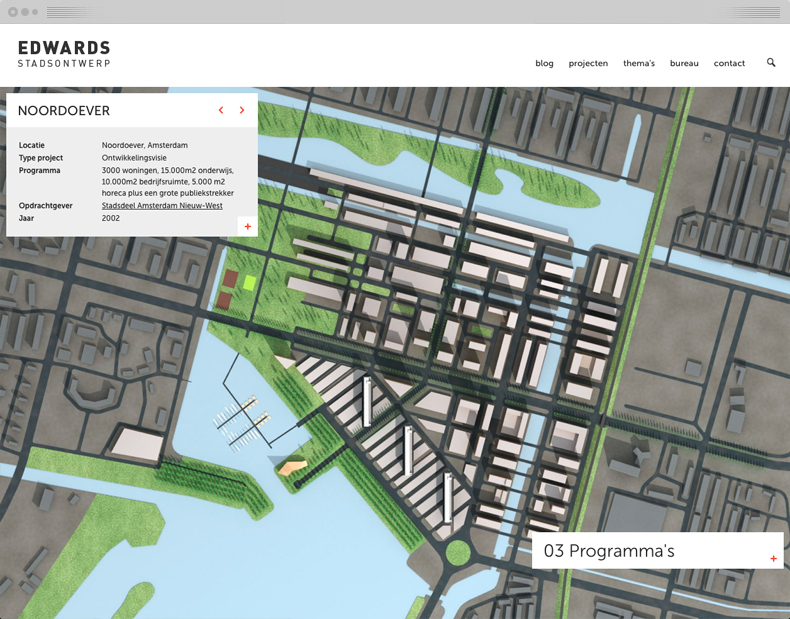 Fullscreen images and videos show the beautiful and often large-scale urban planning projects.